Tribune Broadcasting finally renewed its CW affiliations this weekend. But in a surprise move, it didn’t renew its affiliation with WGN-TV in Chicago. Where The CW affiliation wound up is a even bigger surprise. As first reported by Robert Feder, WGN-TV declined to renew its affiliation with The CW – in a surprise move, the network is moving to Fox-owned WPWR-TV, currently a My Network TV affiliate and a former UPN affiliate. The move comes as Tribune Media has finally renewed its affiliation agreements after months of haggling – but only with twelve of its thirteen stations. The long-term renewals include Tribune stations WPIX in New York, KTLA in Los Angeles and KDAF in Dallas. Terms were not disclosed. The switch is expected to take place sometime around Sept. 1. CW was formed in 2006 from a merger between Time Warner’s The WB and CBS-owned UPN, giving Time Warner and CBS Corp. each a 50 percent stake. 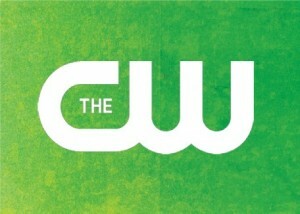 The CW deal with WPWR marks the first time Fox has a relationship with the network. The development of My Network TV actually came about when Fox’s UPN affiliates were snubbed by CW to make deals with competing stations. After three unsuccessful years, My Network TV became a programming service airing mostly off-network drama repeats. The announcement comes as CW unveiled its 2016-17 slate at its upfront presentation last week in New York, with fifteen original programs. With CW programming airing in primetime, there is no word on if My Network TV’s drama repeats would continue to air on WPWR in another daypart, or another station. WPWR’s current syndicated lineup currently consts of Family Feud, The Simpsons, and The Big Bang Theory. WPWR also gets CW’s five hour One Magnificent Morning E/I block for Saturday mornings, produced by Litton Entertainment. WPWR would also get Bill Cunningham’s daytime talk show if it returns this fall. Say so long to “C More 50”, or what ever the hell this was. Recently, Raleigh-Durham’s WRAL and WNCN swapped affiliations, from CBS to NBC and vice versa. Meanwhile, WGN is returning to its independent station status for the first time in 21 years. It was one for 39 years before joining The WB network; prior, WGN was affiliated with the now long-defunct Dumont network, and a part-time affiliation with CBS before the latter bought WBKB-TV in 1953 and immediately changed the call letters to WBBM-TV. WGN plans to air sports, syndicated programming and local news to fill the vacant CW hours. It was frequent sports premptions as one of the reasons CW and WGN broke up, often delaying weeknight CW programming into the weekend or late-night hours. WGN carries Chicago Cubs, White Sox, Bulls, and Blackhawks games. Excluding the latter, WGN had farmed out games to WCIU and later WPWR in order to avoid conflicts with CW programming. WGN can also now bid for Bears games when they appear on ESPN’s Monday Night Football. Granted, the move in a win-win for Chicago television viewers. For WPWR, first-run, younger-skewing programming such as Arrow, Supergirl, Flash, and Jane the Virgin is a huge upgrade from the older-skewing shows airing now in prime-time – and now run in pattern. Meanwhile, Chicago viewers will be treated to more sports over WGN in prime-time, which generally draw more ratings and revenue than the programming it is replacing.